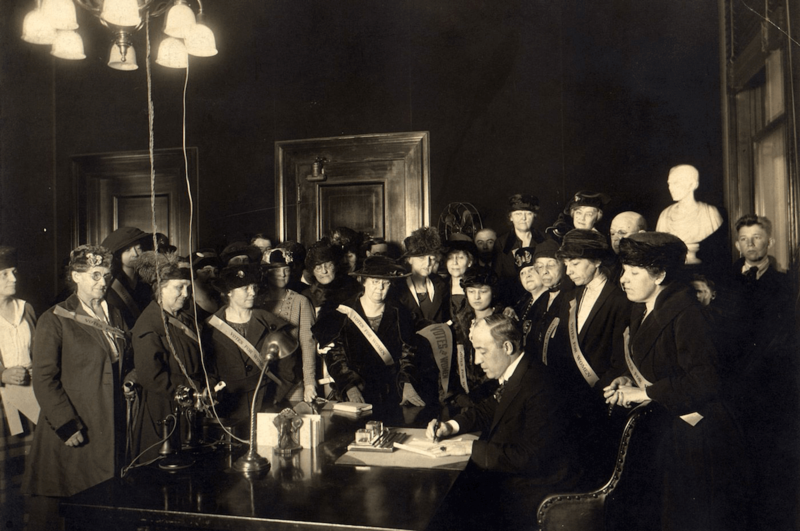 When the 19th Amendment was ratified on Aug. 26, 1920, the status of many American women didn’t change much. For one thing, women in many states had full voting rights well before the federal amendment passed. For another, many American Indian and Asian immigrant women remained disenfranchised because they were denied citizenship. African American women in the South were still subject to voter-suppression laws. And because women did not vote as a bloc, their influence didn’t sway many elections. However, the amendment quickly allowed millions of women to register to vote. The National American Woman Suffrage Association became the League of Women Voters. Male elected officials hoped to appeal to this new voting population. And reform-minded women made their social priorities known by advocating for their issues in the public sphere. This had a huge impact on the national agenda, including child welfare, women’s health, access to education, divorce and inheritance equality, labor reform, and more.